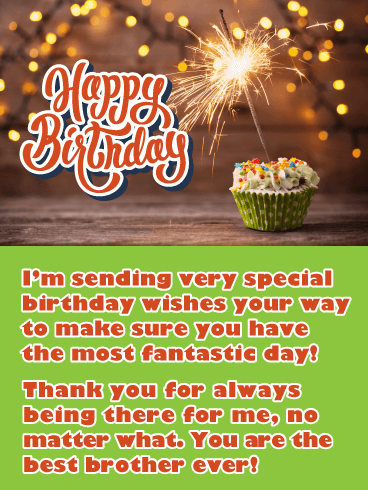 There's just something about this birthday card that makes it stand out from the rest. 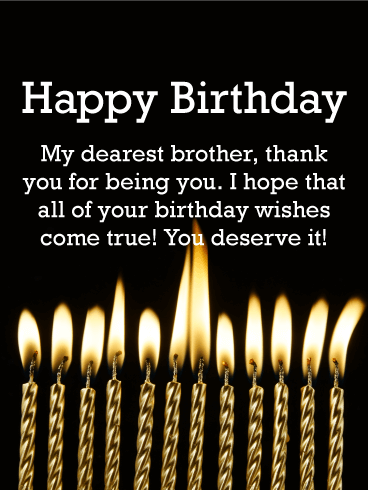 The subtle polka dots in the background really emphasize the unique yellow color, while the candle front and center is the perfect way to say that it's time to celebrate. 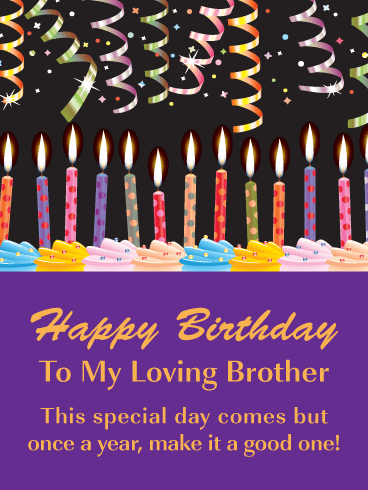 This birthday card is a great choice if you're looking for something simple but full of celebration. 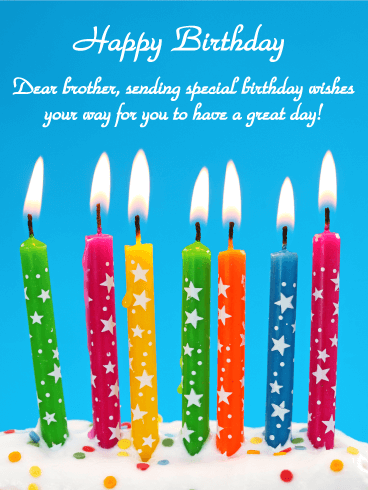 The flames of the candles on this birthday card really make it stand apart from other cards. 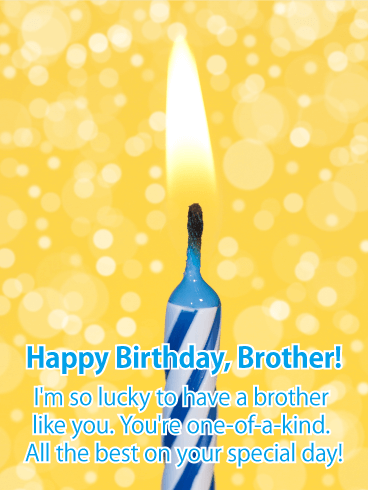 Your brother deserves more than just one birthday wish, and this card is a great way to show it! 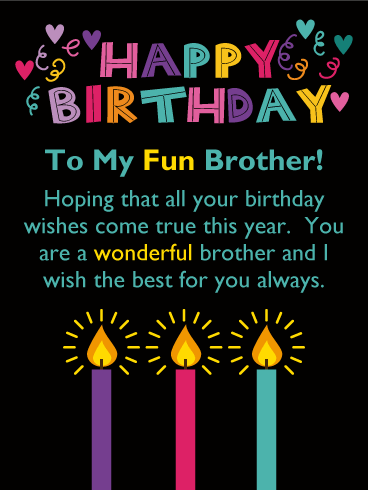 The contrast between the dark background and the bright flames makes this card almost like a piece of art, and it's a stunning choice that your brother is sure to love. 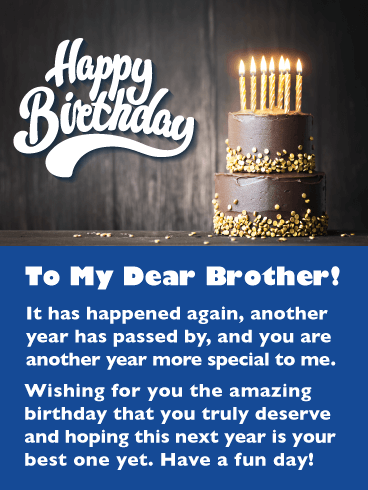 What would the world be like without brothers? Just sad! 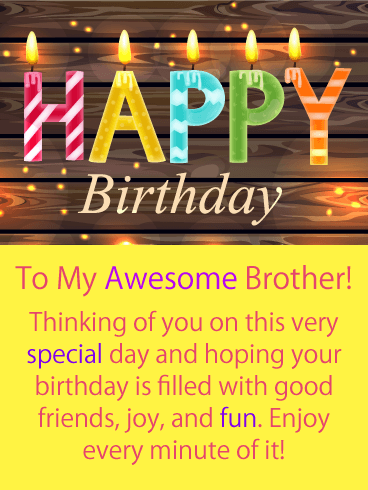 Brothers are the best! 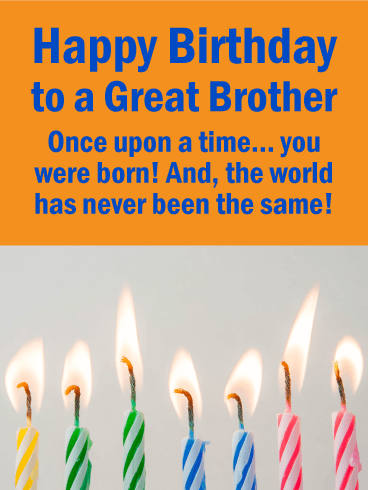 Here's a little story for your brother on his birthday: "Once upon a time...you were born! And, the world has never been the same!" 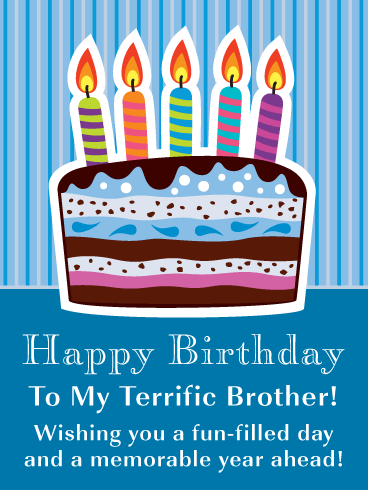 Send this witty birthday card to your favorite brother today and let him know how much you care. 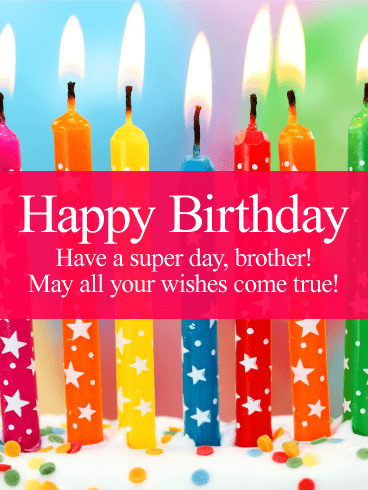 A colorful array of birthday candles and confetti makes this a super fun birthday greeting card for a brother of any age.